I'm not familiar at all with Fats although I do own a Yo. I found this 1" quill stem today in one of my bins and do not recall where or when I came into possession of it. 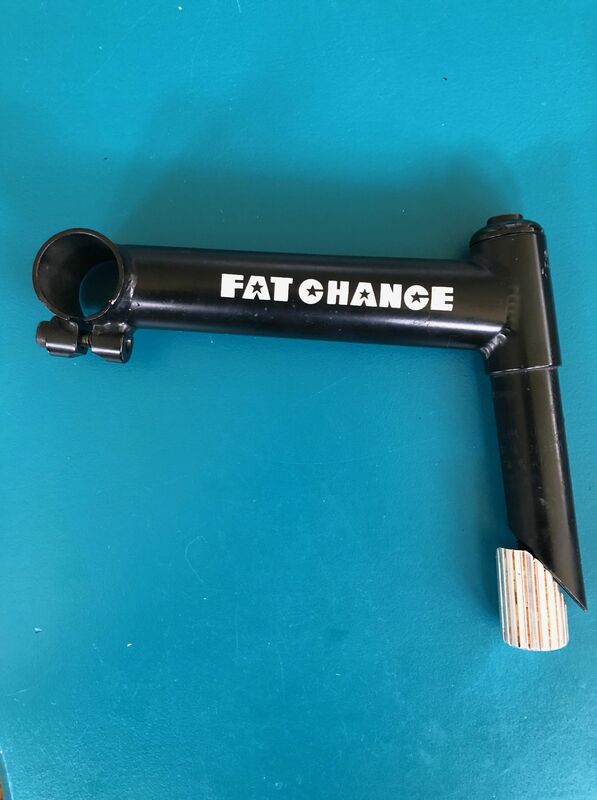 Any clue as to what it is or if it's actually a FC stem. I don't recall Chris making stems but could easily be mistaken. Thanks! It is most likely out-sourced. I don't know who would have manufactured it. Before my arrival in late '86, they made bar / stem combinations that were installed on some '84's and '85's. I never welded any of those myself and I don't recall seeing any in the shop when I started. We did make stems but mostly for our own use and we always used 2 bar clamps and not a single like in your photo. Many thanks Scott! I expect it may be a cheap stem that someone may have installed a decal on. I just don't recall how I came into possession of it. It must have been in a larger parts swap that I didn't pay a lot of attention to.